The bodice is made of black heavyweight twill and is fully lined and boned at the lacings. It laces up through professional-strength grommets. The underskirt is made of black cotton and has an elastic waist. The underskirt will come hemmed at 40" (long - will usually work for up to 5'10" tall) unless a different length is requested at the time of purchase. 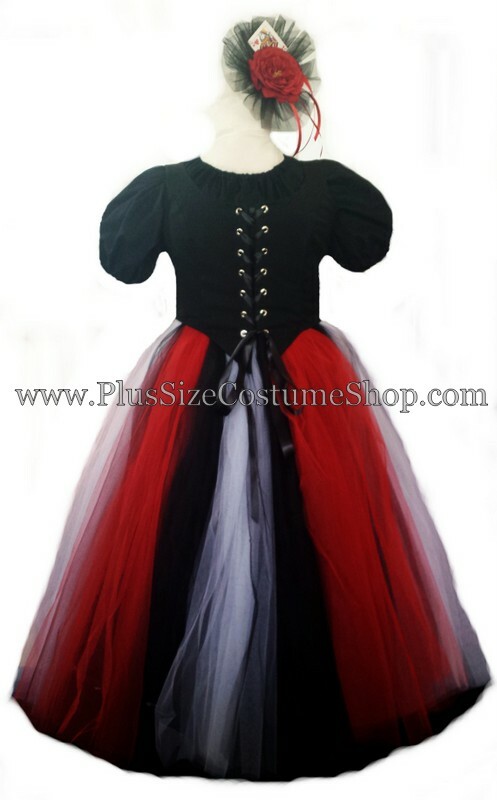 The overskirt is made of strips of red, white and black tulle. The overskirt has a drawstring and ties around the waist. The overskirt will come hemmed at 40” (long - will usually work for up to 5'10" tall) unless a specific length is requested at the time of purchase. 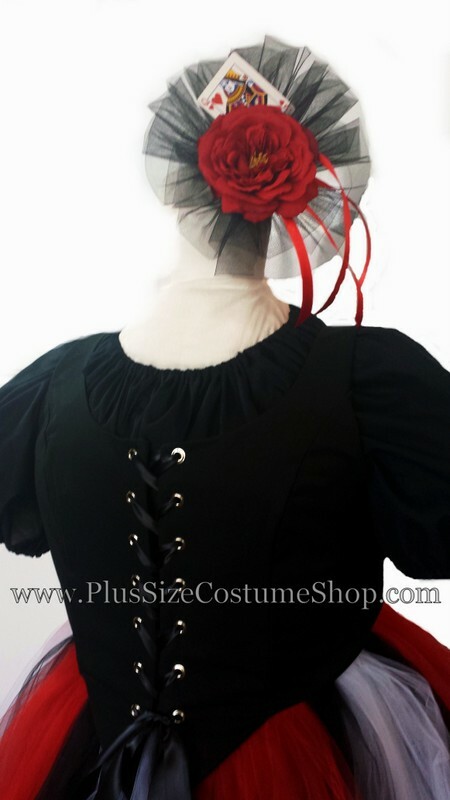 Also included is a red flower barrette with net and a playing card.